Since 2007, more people live in cities than in rural areas, and by 2050, two out of three people will live in cities, with 90% of that growth in Asia and Africa. In our cities today, more than 800 million people live in slums. Cities consume two-thirds of the world’s energy and 70% of global greenhouse gas emissions, and are increasingly exposed to the consequences of climate change. Cities also account for 80% of global GDP. If we are to achieve the Sustainable Development Goals (SDGs), cities – which are central to Goal 11 – are a crucial part of the implementation strategy. At the same time, innovation in scientific research and technological capabilities – part of Goal 9 – continues to provide a growing set of tools with which to achieve the SDGs. There has been a revolution in the way we handle, generate, store, process and leverage data. In fact there is growing evidence that this data revolution, or big data, has fundamental ties to development. Data is vital for designing efficient and effective development policy recommendations, supporting their implementation and evaluating the results. With this in mind, I’ve collected four recent examples of the kind of projects we’ll start to see more of that could help us achieve the SDGs. OpenTripPlanner is an open source platform for analysing urban transport networks. It was developed by a group of international development partners, private sector companies and academics, and it has already been used in places such as Lima, Nairobi and Buenos Aires. It allows any city to analyse and offer point-to-point multimodal directions, but also study how proposed changes in the network or measured urban growth affect how people access essential services, like schools, jobs or hospitals. 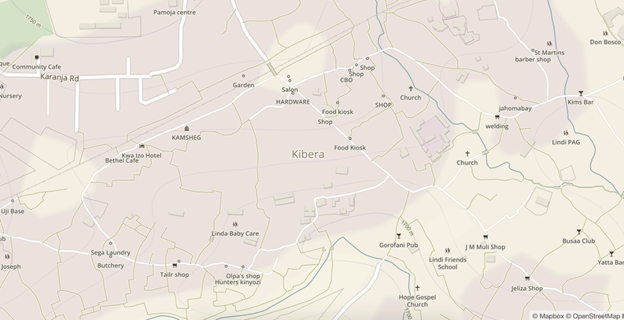 Kibera in Nairobi, Kenya, was a blank spot on the map until November 2009, when young locals created the first free and open digital map of their community. As it is a slum, basic demographic statistics had never been collected, meaning that the close to 1 million dwellers lacked basic services such as water, sewer, security, health services, electricity and education. Map Kibera has now grown into a complete interactive community that collects information, builds local capacity and coordinates internal and external efforts to improve the lives of the people living there. Recent success stories include labelling and monitoring polling places for the March 2013 Kenyan election. 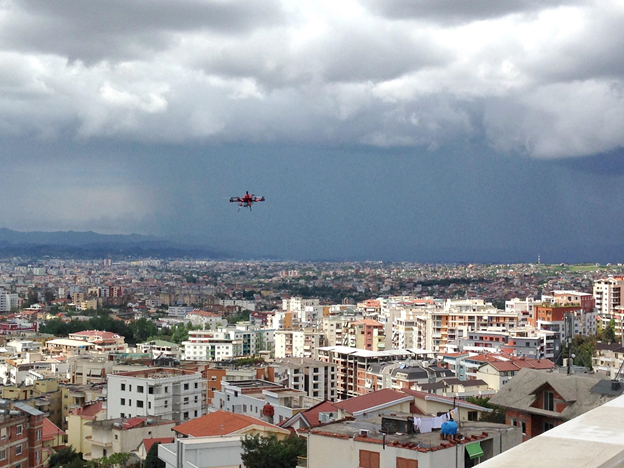 A 2013 World Bank project demonstrated how unmanned aerial vehicles could be a practical, cost-effective solution in urban settings. Through a pilot project in Albania, a group of different stakeholders, including the World Bank, drone operators and the local government, produced spatial data for approximately 60 hectares of former olive groves and agricultural land that is now an extension of the urbanized capital city. The local government needed accurate and recent maps to provide appropriate services to its citizens and bring some order to the unplanned and chaotic development of the previous 15 years. The new maps produced by the team highlight the inaccuracies and poor quality of the existing registration index maps. This supports local government claims that the existing maps and data actually create conflict among citizens, and between citizens and their local government. 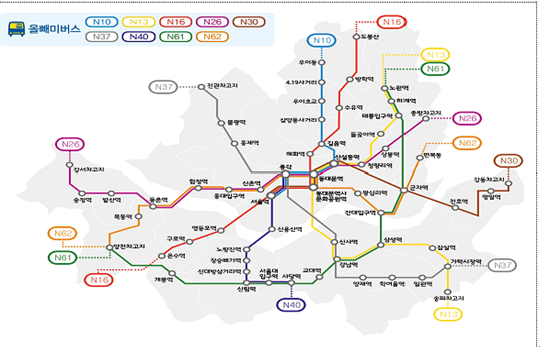 When designing the transport options for their night time buses, officials in Seoul city, South Korea, drew on the latest data sources and tools. They looked into the anonymized routes of potential customers at the time of that service. To do that they used the call records from mobile phone operators and the addresses of those users. This defined the most probable itineraries. They then ran optimization algorithms to find the fewest number of routes that would serve the most people on their origin-destination pairs within 500 metres. This led to nine optimized routes that they then proposed for public feedback. The Seoul Owl service started successful operations in 2013.